Like icing on the cake. The shade name says it all ~ Decoy. It is the 'fits-all' shade for all skin colors and type. The formula is water-resistant, lightweight and will glide on smooth giving you just the right touch of color. 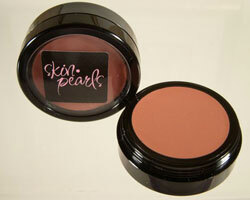 A great way to piggyback under powder blush, for an all-day lasting look. "There is a big difference being 'natural' and being 'naked.' Natural is looking like yourself with a little polish ~ naked says to me 'I don't care about myself - or you.' Makeup should be applied in a way that brings out the best in you - then you no longer have to think about you, and can concentrate on the other people!"